Myrtle Meek has everything she could possibly want. But everything isn't enough. She wants more, more, MORE! 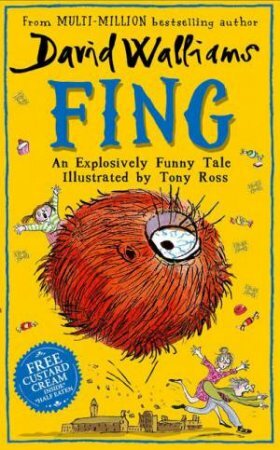 When Myrtle declares she wants a FING, there's only one problem… What is a FING? Mr and Mrs Meek will do anything to keep their darling daughter happy, even visit the spooky library vaults to delve into the dusty pages of the mysterious Monsterpedia. Their desperate quest leads to the depths of the jungliest jungle where the rarest creatures can be found. But will they ever find a FING?